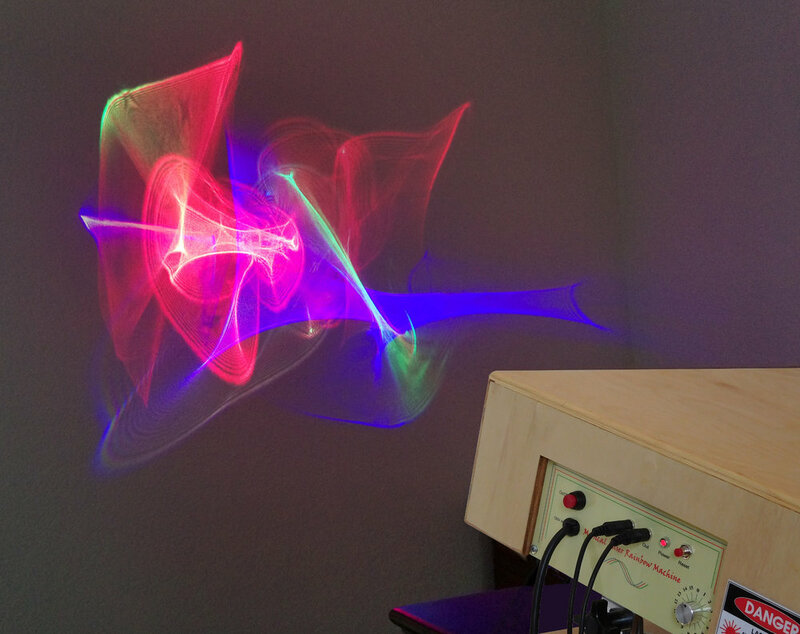 The Musical Laser Rainbow machine takes music, divides it into 6 separate bands of frequency (pitch), and controls 7 lasers to make a colorful, animated display. I wrote a complete article describing all of its features, with lots of pictures and how to build it for the cover story of Nuts and Volts Magazine May/June 2018. The inside of the machine, with smoke to make the laser beams visible.